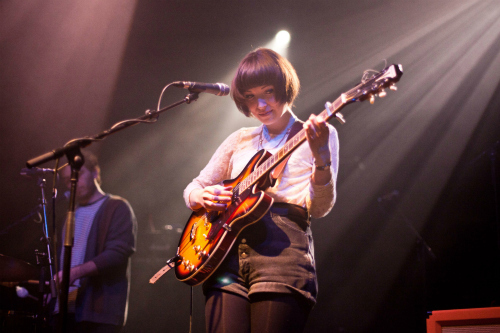 Two rising stars whose music is rooted in indie or alt-folk but goes beyond the genre confines; a landmark London venue for those pressing the up elevator; the first of two sold-out nights. It augured well for something special, and Ben Howard, ably supported by Daughter, did not disappoint. With 2,000 fans crammed into Londons O2 Shepherds Bush Empire, there was an air of fervent expectancy about the place. Then again, this could’ve been because 75% of the audience were mid-teen to early twentysomething girls. For those similarly age-bracketed guys, then, a good place to be. The venue reeks of yesteryear in its plush red, aging grandeur and offers a degree of intimacy for the performers as well as fine stage views for the crowd. Elena Tonra, aka Daughter, took the biggest stage shed played with her amiable sheepishness. With guitarist sidekick Igor Haefeli and percussionist Remi Aguilella at either side, Tonra delivered a six-song set, sandwiching tracks from her two EPs with a fresh starter and dessert. While the sound tended to swirl around the upper levels, taking the edge of Tonras fragile vocal and bittersweet musings, there was no denying the quiet intensity of the trios soundscapes. Rhythmic crescendos were especially realized in Candles and the closer Tomorrow, which finished like a fully electric Mumfords. Confessing some nerves at his self-proclaimed biggest headline gig, West Countryman Ben Howard took comfort from being among friends and knowing that his debut album, Every Kingdom, had just gone gold. He began atop a stool, acoustic guitar on his lap, slapping and cajoling all kind of sounds and back beats out of the instrument. Switching to stand up and electric guitar for the second newbie, Oats In The Water, Howard showed off some able shredding and shoegazing towards the end. Joined by gifted band members India Bourne and Chris Bond, plus from time to time by a guest guitarist who looked like a refugee from Coldplay, Howard conjured a series of melodic calms usurped by rhythmic storms as he went on to play the entire album. The band’s interplay, including the way members swapped instruments around at will, sometimes simultaneously playing strings and percussion, was as endearing as it was enthralling. 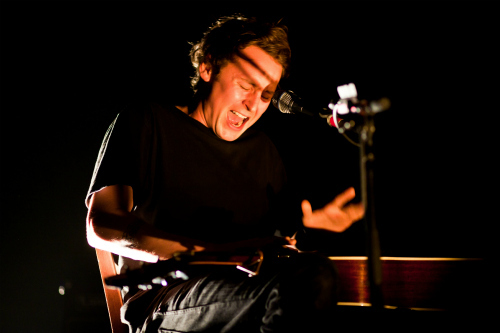 Vocally, Ben Howard purveys a husky passion somewhere between Lindsay Buckingham and The Blue Niles Paul Buchanan. His voice has a genuine soulful strain and a volume control only hinted at by his studio work. The audience lapped up every second, suitably hushed for the quiet moments and madly singing during the noisy sections. The likable Howard seemed genuinely thrilled by the response and nimbly batted the almost constant “love you Ben” catcalls. Real high spots were reached as the evening drew on. The set hit top gear with a blistering version of Diamonds followed by the standout melody of Old Pines, given a meatier treatment than on record. 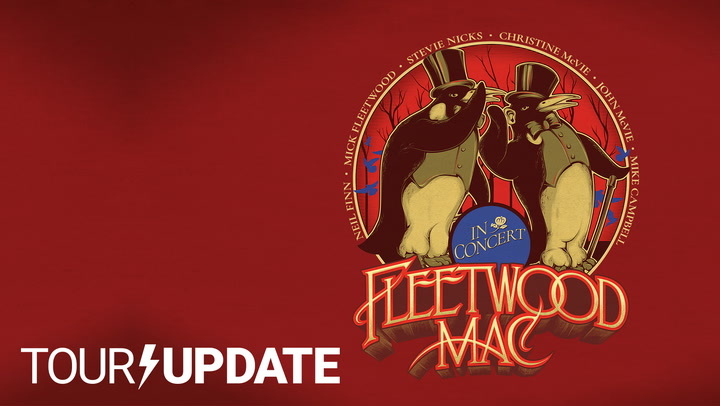 The Wolves got everyone singing their hearts out, while a fabulous Black Flies demanded the inevitable and welcome encores. The night ended with the entire place on their feet for Promise, during which the balconies shook so much you expected a call-out for a structural engineer. It was positive, life affirming stuff from a guy whose next objective is storming America. On this showing, he might well do it, too.